The sound of a mobile phone is routine in much of the world. But it’s a recent arrival here in Talea de Castro, a mountain town in the southern state of Oaxaca, Mexico. This radio report first aired on NPR’s Here and Now in partnership with IEEE Spectrum: [html] [mp3]. See also a related news story for The Economist’s Tech Quarterly: [html]. “Right now we’re on the road leading up to Talea,” says Peter Bloom. “We’re maybe like three kilometers away, so we’re actually getting service from, well, two base stations that Rhizomatica has. Bloom is the founder of Rhizomatica, a non-profit group in Oaxaca city that has helped 16 remote villages install and operate their own cellphone networks. These are places commercial operators said were too small for them to bother installing a tower. The result is spotty service. It’s also expensive for users: the company doesn’t lower its rates even though it gets a government subsidy. Communication also has economic value. One recent report by the industry group GSM Alliance estimated that doubling national cellphone penetration adds half a point of GDP growth. In Talea, economic growth has taken many shapes since the arrival of the community cell network. Taxi driver Eliel Méndez says it’s gotten easier to get business. “There’s more communication, people hire us more, there are more clients than other places,” says Méndez. The local cooperative in Talea, called Talea GSM, has around 250 active users and costs around a third what the big telecoms charge. Rhizomatica has also started networks reaching 15 other villages. As the coverage area has grown, so has the competition. 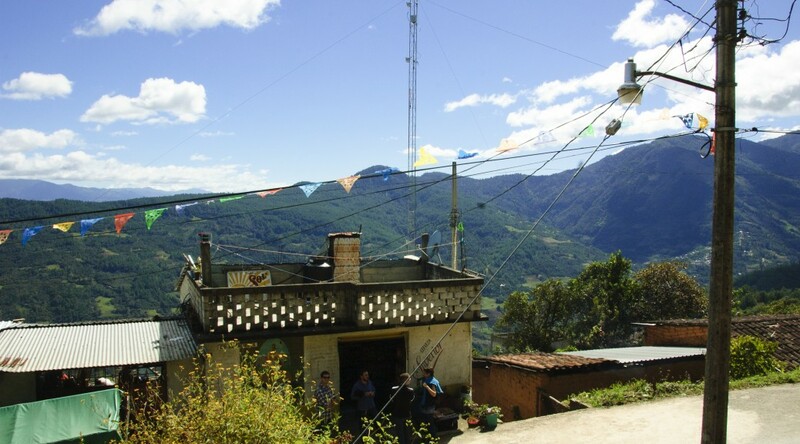 The multinational telecom company Movistar built a tower in Talea after seeing the success of the community-owned network. Movistar has taken some customers away, but Talea’s community cellphone manager Keyla Mesulemeth is unfazed. “We say it’s good that there’s another company in the community because the people will notice the prices and service, right?” says Mesulemeth. And there’s demand for more and better services, such as Internet on their smart phones. “People are demanding more all the time. Now they ask for more things. Now they want data, now they want WhatsApp. So it’s that, right? Now that they know it, they want more,” Mesulemeth says. Peter Bloom adds that it’s easy to replicate the technology. “That’s the whole point of technology kind of, it just does what it’s supposed to do, but the social part can be more difficult,” he says. The Mexican government recently published telecom rules that for the first time reserve some frequency bands for community use. Bloom says that gives him hope that Rhizomatica’s model could work elsewhere, wherever local communities are prepared to manage their own networks.